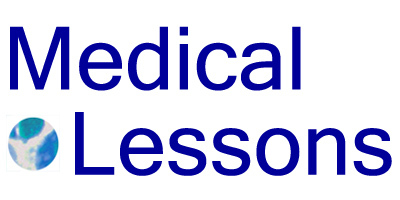 Medical Lessons – Medical Lessons is One Year Old! Medical Lessons is One Year Old! Today Medical Lessons is one year old. That’s an important milestone in any blog’s life, as I suppose it is in this author’s. Why blog, a mother in medicine might ask me. I’m having fun with this project, for starters. Since November 17, 2009, I’ve taught myself how to use WordPress, learned the ins and outs of website hosting companies and faulty servers, experimented with Twitter – on which I’m now hooked and, best of all, engaged a growing on-line group of interesting people. What I like best, I think, is the freedom of modern penmanship in this strange, new mode. “It’s my blog and I’ll write what I want” is my motto in this ongoing real life-segment. How cool is that? Where ML is headed, I’m not entirely sure. It’s been picked up by the ACP Internist blog and, as of today, the Get Better Health network. I’m a firm believer in the concept that anything can happen. So far, so good! So thank you everyone, for reading and subscribing to ML. And for those who’ve commented, double-thanks! Happy Anniversary! It’s been an impressive year. Congrats. Happy Birthday ML. I am so happy you have entered the virtual world and that your is cyberspace so welcoming even to one who suffers from technophbia. It is a pleasure to learn and share with you. I look forward to many more blogs in the months to come. Thanks – I hope most of my future medical lessons will be from reading and listening to others, and not so many first-hand experiences!